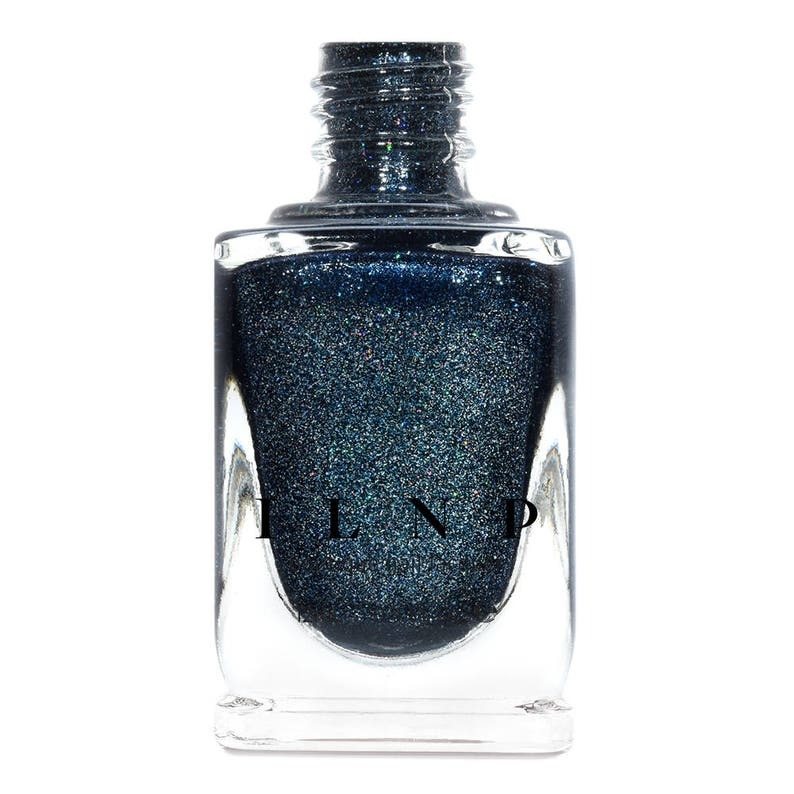 By Nightfall is a gorgeous asphalt blue Ultra Metallic nail polish. Loaded with an assortment of reflective silver flakes and vivid holographic micro-flakes, By Nightfall’s breathtaking combination of goodness will dance on your fingertips in almost any lighting! By Nightfall is part of ILNP’s Ultra Metallics™ class of incredibly vivid metallic finish nail polishes; specifically formulated with various ultra-thin metallic flakes for a blinding sparkle with an undeniably rich finish and super-easy removal!